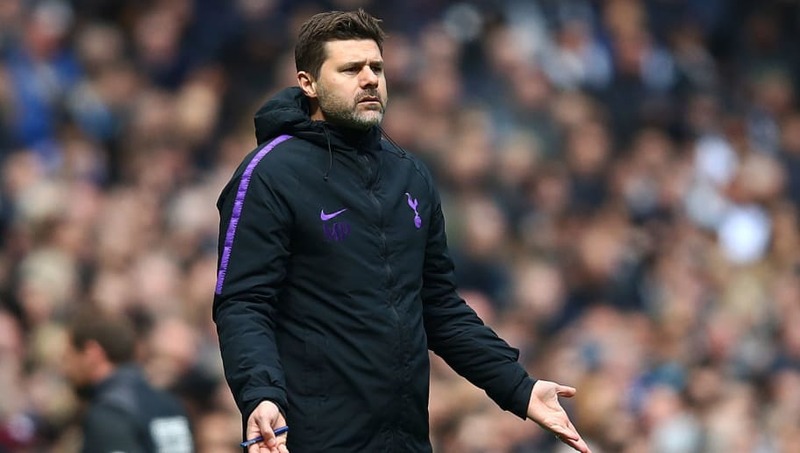 ​Mauricio Pochettino heaped praise on his Tottenham squad for the professional manner with which they dispatched of Huddersfield on Saturday afternoon. Tottenham made seven changes from the side the conquered Manchester City mid-week, some forced and some with the Champions League return leg in mind. In truth, it was noticeable in the performance but fortunately for Spurs, it wasn't reflected on the 4-0 scoreline. Victor Wanyama earned his side the lead, being alert to a loose ball that caught the opposition napping. Lucas Moura doubled the lead almost immediately from the kick-off, before rounding off an excellent afternoon for himself and Tottenham with two more goals in the dying embers of the game. It was the Brazilian's first hat-trick for Spurs and it comes as a welcome boost with talisman Harry Kane set to miss the remainder of the season through injury. But Moura wasn't the only understudy who impressed Pochettino, who was full of praise for his men after the result. "I am so pleased. Football is about the squad, the collective, of course, we had some injuries like [Dele] Alli and Kane and we were forced to make changes. It's good because we have a tough period ahead and the performance was very professional," Pochettino told BBC Sport. The 60 minutes that separated the second and third goals won't live long in memory but that won't concern Spurs fans as they moved back into third place above Chelsea - for the time being, at least. Pochettino drew on the significance of those opening two goals that allowed his team to control the game at their own pace. "It's always important to open the game and score in the first half to give belief and confidence, after a few minutes we score the second goal and lift the stadium and fans - it's fantastic to play here and gives the players fantastic energy and belief," he added.